A NEW CRITICAL EDITION from the Project of Late Classical Period! 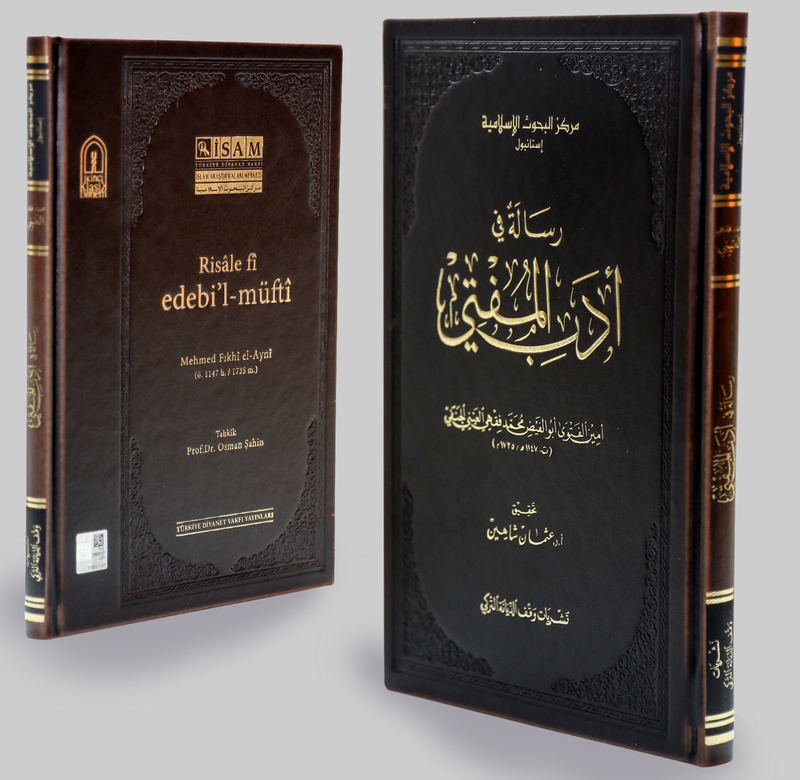 A new critical edition of one of the famous 18th century Ottoman jurists and the head of the office of issuing fatwas Abu al-Fayḍ Mahmad (Muhammad) Fiqhī al-‘Aynī’s book on the method of issuing fatwas Risala fi adab al-muftī has been published by ISAM. The book critically edited by Prof. Dr. Osman Şahin has been published as part of the project of Late Classical Period. Risala fi adab al-muftī which is one of the four independent books written on methodology of issuing fatwas in Hanafi School is one of the rare books on the methodology of issuing fatwas known by various terms in literature such as adab al-fatwā, adab al-muftī, rasm al-muftī, and ‘uṣūl al-iftā which is about the ways and manners of mufti when issuing a fatwa and the manners required when requesting the issuance of a fatwa. This book which presents an overview of Hanafi methodology of issuing a fatwa is an important book in regards to using more than sixty books as references despite its small size, dealing with issues which had not been dealt with until that time, and shedding light on the methodology of issuing fatwas and the operation of the institution of fatwa at the time. It has been published by Dār Ibn Ḥaẓm Publications in Beirut simultaneously as its publication in Istanbul.